We are delighted to announce that Bausch & Lomb (Waterford) has agreed to become a Proud Partner and Sponsor of our 40th anniversary events. Bausch & Lomb has a tradition of supporting Children’s Group Link down through the years. They have helped us with, and continue to help us with programmes, most notably in recent years CRISPS, a youth employment initiative, and their unwavering and continued support for our Pobal Project being a developmental project for young people between the ages of 15 - 18 years old. 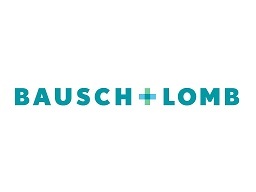 Bausch & Lomb will be an integral part of the work we will undertake to celebrate what is a milestone year for our charitable organisation. We are delighted that such a world renowned company has lent their weight and support to our year of celebration.